We all know branded sunglasses are not only a con, but very often they’re designed purely for fashion and not with the rigours of the road in mind. Fat Face’s Sports Wrap Rubber Sunglasses are a bit different. 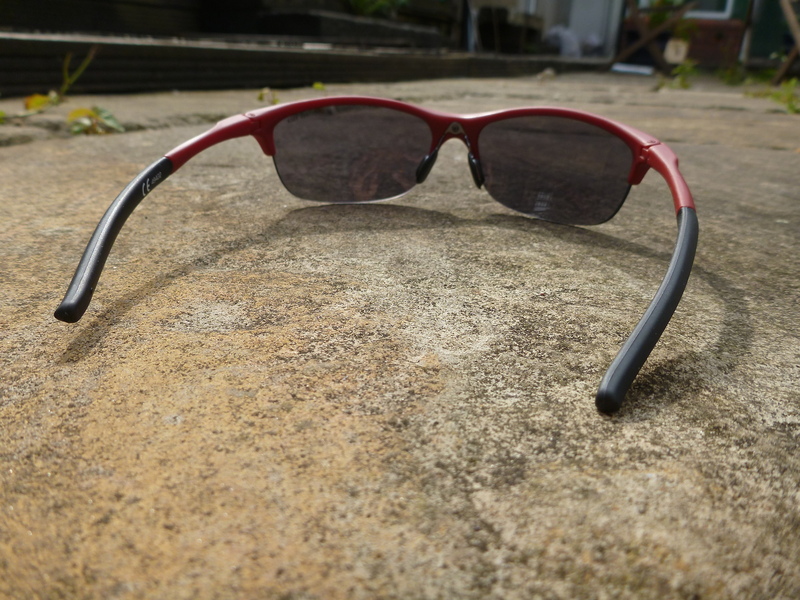 They don’t do anything complicated, but instead of using the usual poor quality metallic frames that easily slip from ears and heads, the Sports Wrap Rubber Sunglasses use a combination of hard, matte red silicon that’s far more hard-wearing. As well as silicon, the Sports Wrap Rubber Sunglasses add ear grips that use soft (fake) rubber that has a bit of give. It’s more than enough to prevent these basic, affordable sunglasses from falling off when you make a dash for a plane/train/bus.